If you've followed my blog for a while, you probably know that organizing is kinda my thing. I believe that everything must have a home and can't it when things are out of place. This goes for tangible goods as well as digital goods. What I want to talk about today is something new I've done with my design files. 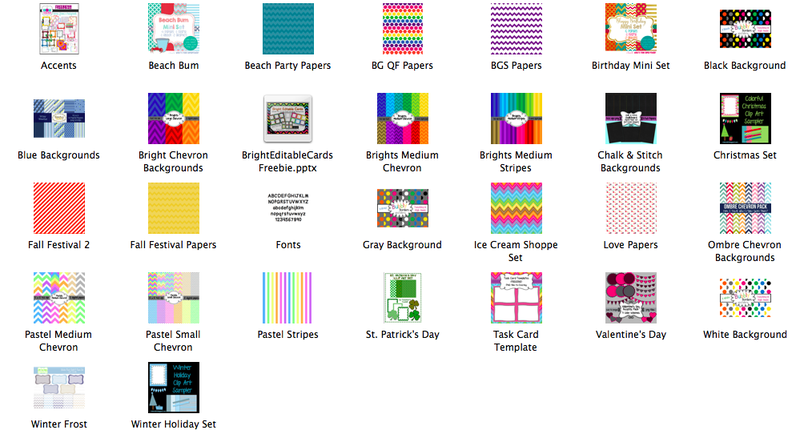 You know... all the backgrounds, frames, clip art, fonts, etc. you've downloaded from TPT. This was the one area I wasn't quite sure how to organize. It was honestly overwhelming for me to click through each folder to find the background or accent I needed for my product. I'm not saying this is the reason I've been so terrible about adding TPT products to my store, but it certainly hasn't helped! And then I had a genius idea to use images as folder covers so I would know what's inside. This is SUPER easy to do and has made it so much easier to browse my design elements. 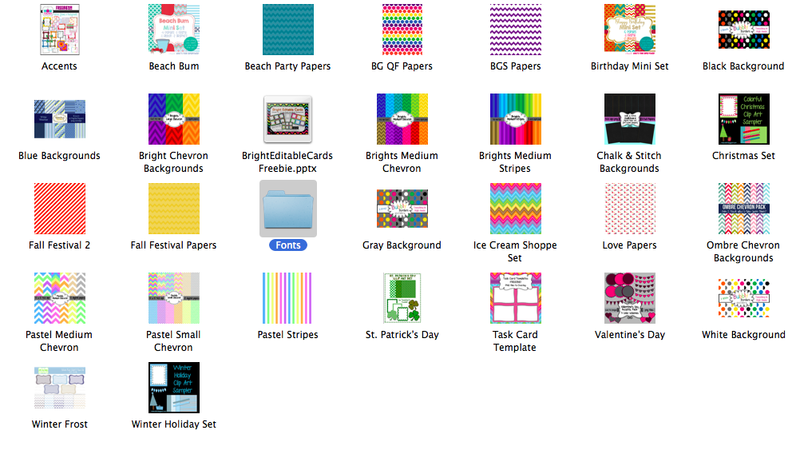 I decided to organize my folders by background since I'm usually searching for a specific color scheme. As such, when I had a set, I kept all of those elements in that folder. For example, you can see in the photo above that I have a folder called Winter Holiday Set. Everything that came with this set is in that folder, and I used the preview image as my folder cover. 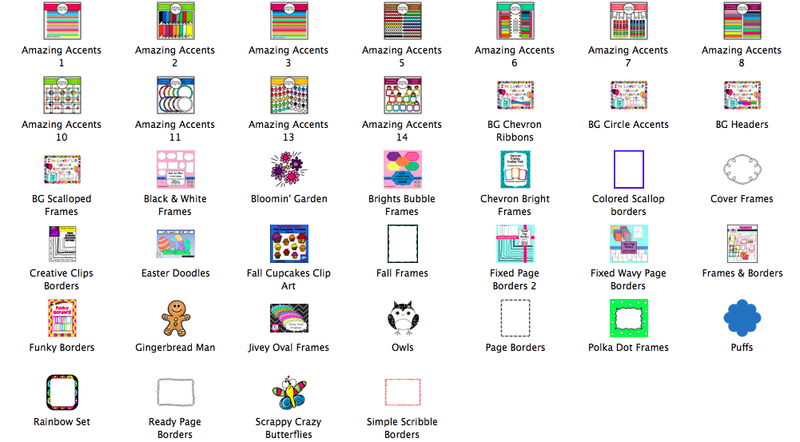 My Accents folder contains all my frames, ribbons, clip art, and other add-ons. Here's a picture of that one just because it's cute! But did you notice that boring Fonts folder in the first screen shot? Let's spruce that up a bit, shall we? Step 1: Open the image file you want as your folder cover. If the design elements in the folder come with a preview page, I highly recommend using that. Step 2: Select all and copy. You can now close your image. Step 3: Select (right click on a PC or two-finger click on a Mac) the folder you want to change and click Get Info. It will look like the photo below. Step 4: Click on the folder icon in the top left corner and paste (command + V or Ctrl + V). Your folder will now have a cover image, showing you what's inside. 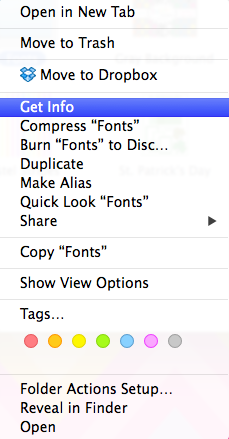 You can see that my Fonts folder now has an image instead of the plain, blue folder. 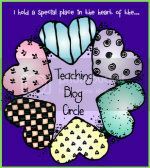 I can't tell you how much faster it's been to search through my design files to find the right background or accent for my TPT products. I hope you'll try this yourself and find that it saves you time as well! That is so interesting! I didn't even know it was an option. Thank you!!! This might be a bit beyond me, but it looks wonderful! BTW, thanks for leaving a comment on my fb page. You were my first real comment EVER and I was so excited! 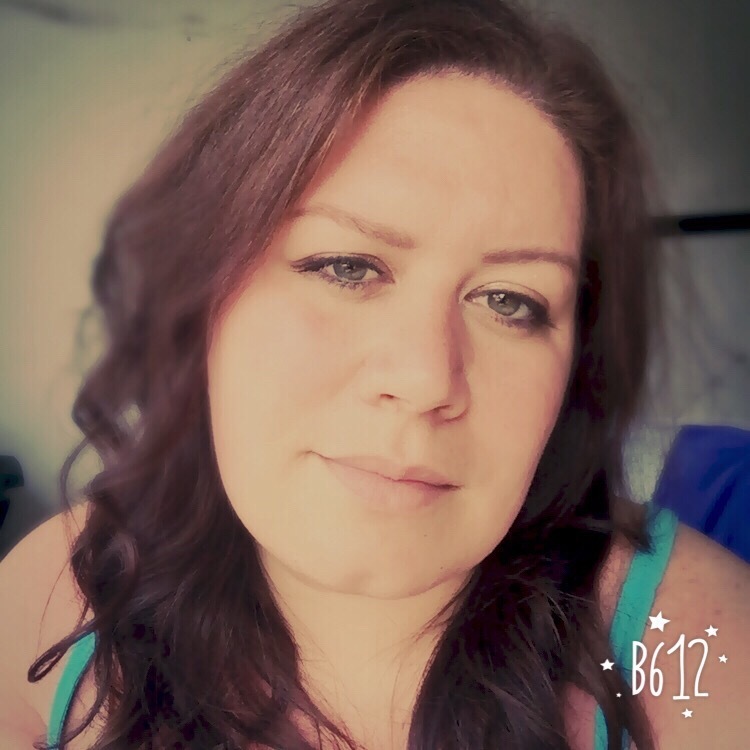 I'm following you now... on fb and here! I will do this!! but first I have to put them all into one place... hmmm might take a while!! Well now we know what I'll be doing Saturday morning! Great info, thanks!!! I must do this...you just made my life a whole lot easier. Love you!! !